Does Apple Watch Have a Manufacturing Problem? Technology consultant Russ Frushtick, FOXBusiness.com reporter Katie Roof and FBN’s Neil Cavuto on the rollout of the Apple Watch. While analysts and research firms have been speculating that Apple may have sold over one million watches in its debut weekend, Apple (NASDAQ:AAPL) has chosen not to release the official sales numbers. Although the watches “sold out,” it is unclear how many devices were in stock. With some customers expecting to receive their watches as late as August, that will be nearly one year after Apple first unveiled the watches. While “selling out” can build hype, delaying shipments by several months can result in canceled orders, so it is unlikely the long waits are deliberate. Apple announced that it was predicting this conundrum on Thursday, the day before the watches went on sale. Apple’s senior vice president of retail, Angela Ahrendts, said that the company expected that “customer demand will exceed our supply at launch,” acknowledging that Apple did not have enough watches made to meet consumer demand. Initially planning to sell watches by appointment at Apple stores on April 24, the company opted to sell them online only, save for select boutiques. 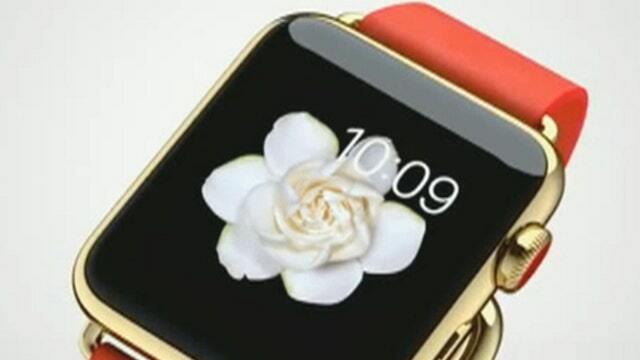 Apple first revealed the watches at an event in September, citing “early 2015” for their release. The company then faced criticism that the April launch date was later than anticipated, so it would have been difficult for Apple to push back the launch date any further. Apple shares: Buy, sell or hold? Yet Zino still predicts that Apple sold over a million watches in the first weekend, making it a leader in the smartwatch category. “Demand probably exceeded their initial expectations.” Echoing a similar sentiment, Piper Jaffray analyst Gene Munster said in a note that he sees indications of “solid demand paired with very limited supply." Munster is predicting that over one million devices will be sold in the first two weeks. Raymond James downgraded Apple on Friday to market perform from outperform. Analyst Tavis McCourt predicted that sales might fall short of the “insanely great” benchmark for Apple Watch. Since this is a new product category for Apple, the first under CEO Tim Cook’s leadership, analysts are continuously revising their estimates. Most are expecting that between 10 million and 30 million will be sold in the first year. The device is expected to do well with “early adopters,” but it might take a few years before smartwatches are popular with mainstream consumers. It is possible that Apple will not report the watch sales numbers. Tim Cook stated on an earnings call in October that he was "not very anxious in reporting a lot of numbers on Apple Watch" because "competitors are looking for it." The iPhone did not achieve widespread adoption at first, only selling 5.4 million phones in the year following its spring 2007 launch. In 2014, Apple sold over ten million iPhone 6 devices during its debut weekend and the company has now sold 700 million iPhones to date. With a market cap of $730 billion, the future of Apple is not contingent on the success of the watch, but the company hopes that the product will be one more reason to keep users on its operating system. Apple shares are up 15% year-to-date, and are currently hovering around $127.